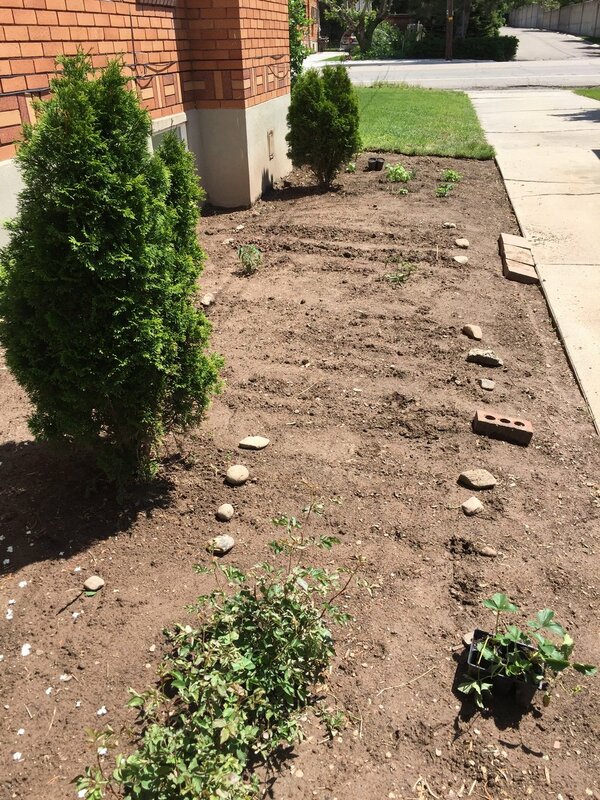 If you are planting trees or shrubs that are going to live in your yard for awhile, or planting a vegetable garden it’s extra important that you prepare the soil well. Plants that have good ground grow larger and stronger and are more disease resistant. I jotted down a few things that might be helpful to you if you’re looking to get started gardening. If you are working in a yard or plot that has never really been gardened or needs renovation then I would recommend THIS year especially giving some attention to your soil before you settle new plants in the ground. It will make a BIG difference for many years to come if you do some good soil prep while you’ve got a clean slate. Every region of the earth has different kinds of soil. It’s actually an incredible phenomenon. Rivers and lakes and water and elevation and on and on effect what kind of soil you have. Every place will be a little different and every yard will be a little different. Get to know what kind of soil you have. Every soil has it’s strengths and weaknesses so I would recommend finding out what they are. Look online and ask around. Then just go out into your yard and observe your soil. Does it have gravel? Is it hard? What color is it? Sandy? Dark? Soft? Does it seem dry? Water logged? Observing all of these things will give you a better idea of what you have to work with. If you want an exact picture of what is going on with your soil you can take a soil sample and send it in to places that do it and they’ll tell you the makeup of your soil. There also exist home tests but I’ve heard they’re not very effective. If you’ve tried one tell me how it went in the comments. *For my Salt Lake Friends: Soil along the Wasatch front is alkaline which is the opposite of acidic and clay. Think make pots kind of clay. This means that my soil doesn’t dry out quickly but it can be as hard as rock. For example I watch Youtube videos of people taking their tulip bulbs out of the ground after the spring and they just give a little tug on the tulip stem and there’s their bulb. Not here. Those things are cemented in. It also tends to have higher levels of salt than most soils (hello Great Salt Lake). Whatever it is you want to grow I’d kind of research what kind of soil that plant likes. Don’t make it too hard but let me give you some examples. Last year I planted a whole stand of new strawberries. I really wanted them to do well so I researched varieties that do well here (Albion) and what kind of soil they like. I found out strawberries like acidic soil so I dug a foot down and mixed in a whole load of peat moss and appropriate fertilizer. Those babies THRIVED last summer even though they were just new bare root plants. The soil prep was the X factor. Another example: Last spring I planted some dahlia tubers along my fence. I put a whole load of dark nitrogen rich soil and fertilizer on them. They TOOK OFF. One was probably over 6 feet tall! I was getting excited for flowers but… NO BLOOMS ever came! Come to find out that dahlias don’t like nitrogen rich soils. It makes the plants leggy and tall with no blooms. The corn next door to them in the garden sure was good though. Corn likes nitrogen. Dahlias don’t. Don’t let soil prep scare you off though. I think it’s best to just get going and planting stuff even if you don’t feel like you have all the answers. Every time you try and make mistakes you’ll learn so much and you’ll feel fulfilled. Every gardener has things die, or not work out or whatever. It’s all part of it so just go for it. Some soils are more fertile than others but the great thing about earth is that wherever you live your soil will be good for certain kinds of plants. Instead of fighting your soil and climate by growing things that aren’t going to really thrive l I think you’ll have a lot more success gardening if you choose things that do well in your region. For example I got on this kick where I REALLY wanted an Italian Cypress in my yard. I think they are so beautiful and I had a perfect place for one. I researched how some people in Utah can kinda make them work. But you know what? At the end of the day they just really don’t like it here and I would’ve spent years trying to get that thing going. Instead I planted a drought resistant, cold hardy dwarf conifer with a conical inclination that I keep trimmed thin and it’s lovely. 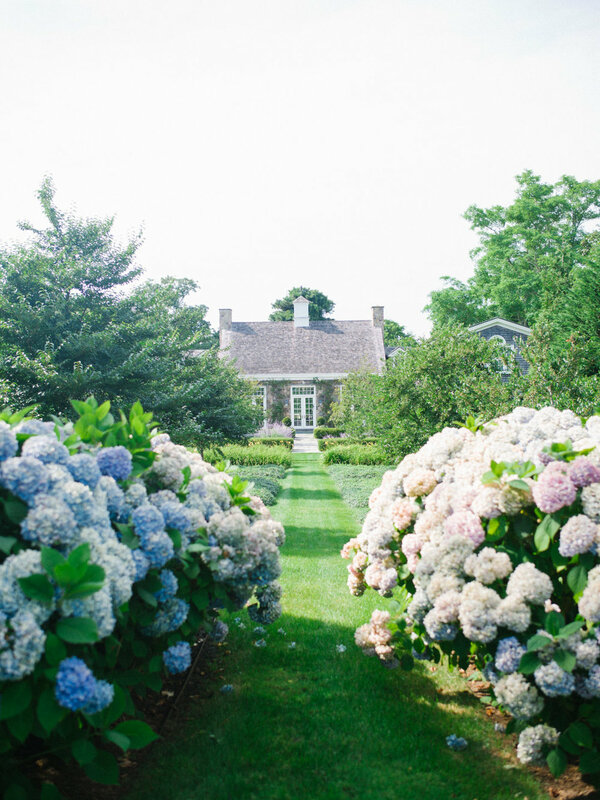 Another example: Utah has very alkaline soil so if you plant blue hydrangeas they will turn a strange pink color. Knowing that, I only plant white and pink hydrangeas. If you live in a place with highly acidic soil then you should probably plant some Nikko blue hydrangeas, because they are incredibly lovely and will do well. But in my soil you’ll have to fight it to get blue. There are people that can explain fertilizer- what and when, better than I can. This book, that I LOVE, Successful Home Gardening by E. Gordon Wells Jr., has a very in-depth chapter on fertilizer. I truly LOVE this book. if you’re interested in vegetable gardening this is SUPER helpful. My whole family swears by it and reading it is what helped me get going with gardening. He really breaks it down in a simple way. I would highly recommend that you get this if you want the most production from your vegetable garden. He knows his stuff. Fertilizing can get a little technical and there’s a lot to it but basically fertilizer has 3 numbers. In order they stand for Nitrogen, Potassium, and Phosphate. You need to find out what your soil is lacking and add fertilizer with more or less of those elements. The most all purpose fertilizer is 10-10-10. It has equal parts of all 3 and so unless you have something finicky (like dahlias) then you’ll probably do well starting with that. You can also go totally organic if that’s a priority for you. Bone meal and Fish Fertilizer are probably going to be a couple go to’s if that’s the case. All hardware stores have a whole section of organic fertilizer so just read instruction labels and stuff to find out what exactly you want. Lawns have different fertilizer for different times of year. A bit of googling and hardware store perusal goes a long way. About the best compost/soil additive out there is the compost sold by the waste management companies. Yep. That’s right. What is one man’s poo poo is another man’s treasure. I ordered 6 yards of this stuff from Oquirrh Mountain Compost and put it all over my yard. (Their’s is the best I’ve found in the area). My marigolds were like 3 feet wide by 3 feet tall. Your yard will thank you. Careful though cause you can get tomato plants randomly throughout the yard - I’ll let you figure out why but that’s not made up. If you’ve got unloved soil or are doing a yard renovation and will be moving plants around I would HIGHLY recommend getting a load of this. You can pick it up or they do free delivery if you order over 6 sq/yards. If you don’t live in Utah, I’d start by searching the web to see if your local sewer company sells compost. Make sure that they don’t put too much bark in theirs cause all sewer composts are not created equal. You don’t want a lot of wood chips. 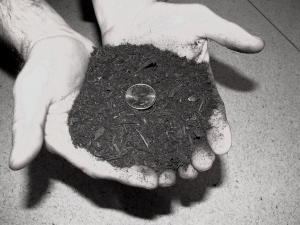 You want a nice smooth soil so make sure you know what you’re getting. Most places have different grades and for vegetable gardening especially you’ll want the highest grade. There’s kind of a lot of information here. It can be overwhelming and there’s a lot more information out there but to put it really simply: If your yard hasn’t been gardened much then you probably need to add some fertile matter (compost, manure, peat moss etc.) and fertilizer to your soil to help everything grow a lot better. What you need to add will depend on what your soil is already like and what you want to grow. If you’ve gone out to your yard and have seen that your soil is not very good don’t give up. You’ll be surprised what can grow in your yard. My first garden was planted on an 8 foot strip at the side of our little duplex. It was about the most unloved piece of earth known to man. I was pregnant and going to school at the time and we had hardly any yard BUT I really wanted a garden. Mitchell lovingly dug out about 20 cement blocks out of that unloved earth, that came from who knows where. I carefully picked out all the beer cans and cigarette butts from my neighbors. We tilled up the ground with a tiny tiller, planted little baby rows of corn, potatoes, herbs, tomatoes and watered it with a hose. I honestly didn’t really know what I was doing, except for what I could remember from watching my Mom growing up. And I loved that little garden like crazy. The lettuce was bitter, the tomatoes got some kind of overspray disease, the carrots never germinated, the corn stopped at about my thigh and then went to seed but I did end up with about 6 butternut squashes and a handful of produce and I learned A TON. Every night we’d go out and check the progress and pick our little crops. Our neighbors loved it and would keep an eye on it and give tips. Leave any of your own soil prep tips in the comments! I’d love to learn what’s working for you!